In 2010, Flathead Audubon Society, Glacier High biology students and teachers, Flathead National Forest and several other partners completed a successful schoolyard native habitat project. To enhance a birding unit, students helped design and create a native plant garden outside the science classrooms. 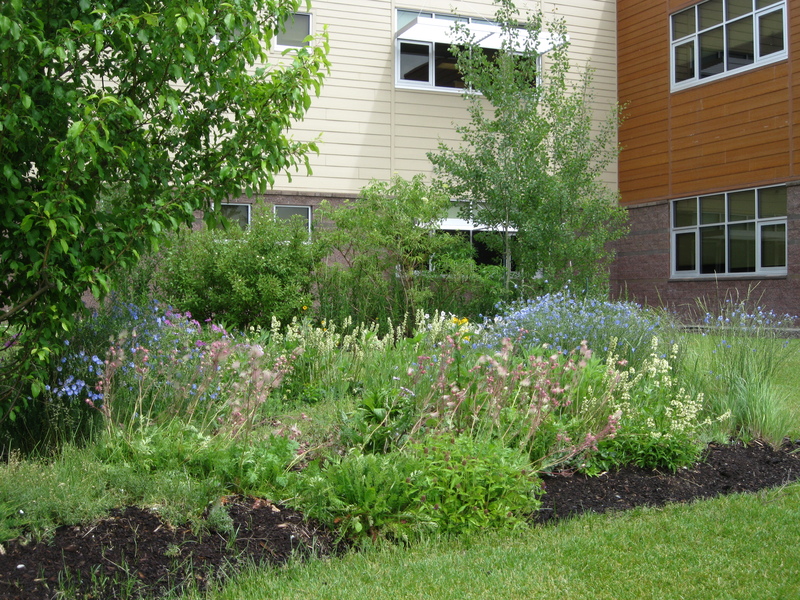 Enthusiasm and interest about the project spread, so Flathead Audubon and Flathead National Forest have implemented four additional native plant/bird habitat gardens–three at low-income elementary/middle schools and a companion garden at Glacier High School. 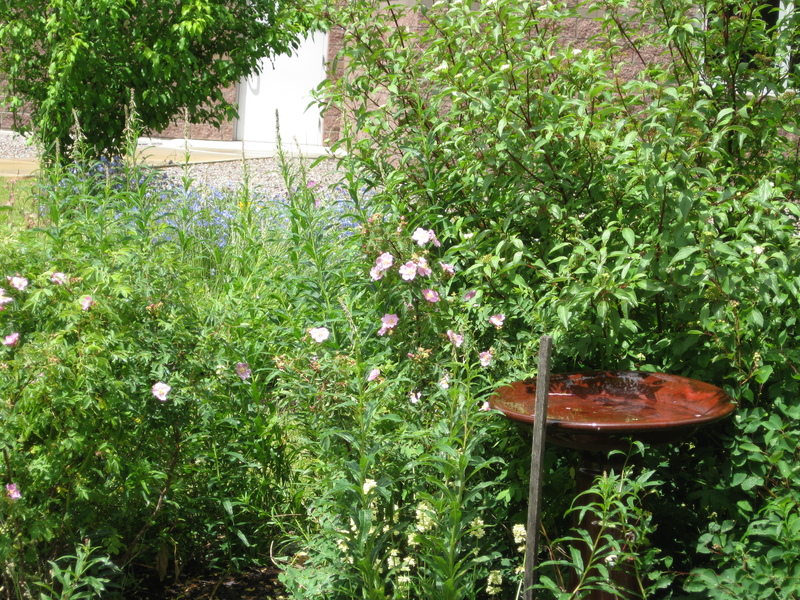 The schools have created their own schoolyard native habitat gardens to enhance their studies and engage students in meaningful and sustained outdoor experiences. The name of this project, for which funding was granted by the US Forest Service is: Discovering Flathead’s Feathered Friends-Enhancing Schoolyard and National Forest Habitat. 2010 Glacier High School garden 3 years later. 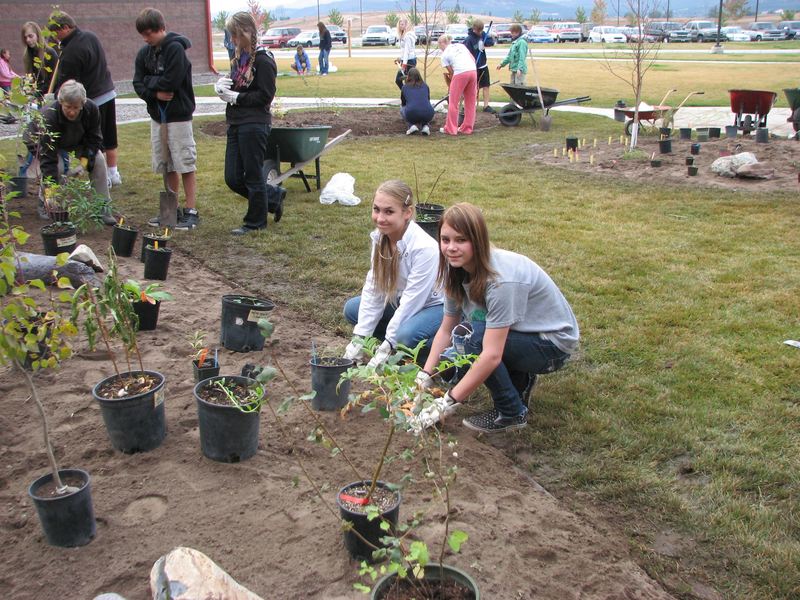 In early October of 2012, 300 students at Glacier High School, who had planned and researched their gardens during the preceding month of school, took part of the school campus from sod to Native Plant Garden in two chilly mornings. Students researched and chose their plants based on forage and habitat value for birds and other native wildlife, soil and moisture needs and sunlight exposure. One week later, about 30 Helena Flats 3rd and 4th graders completed the same process at their school, with the addition of a Peace Pole at the center. In May of 2013, Somers and West Valley students planted their gardens. Since then, students at these schools have also had an opportunity to do service work on Flathead National Forest land. The last step of the project will be to develop a method for replicating this effort at other area schools, that will occur through a series of teacher workshops and in-services. Partners include: USFS, Flathead Native Plant Society, Flathead County Master Gardeners, Glacier High School, West Valley Elementary School, Somers/Lakeside School, Helena Flats School. More information here.